A young woman finds herself trapped in a mysterious small town. The word 'Besetment' is defined as being attacked from all directions. Its an odd choice for a film title but, oddness aside, it is appropriate. Amanda (Abby Wathan) is down on her luck, looking for work when there is none, stuck at home with her belligerent drunk mother and eager for a new beginning. She gets a mysterious phone call from a lady in the miles-away town of Mitchell who offers her an interview for a motel job she applied for. Trouble is, Amanda doesn’t remember applying for that job. Nevertheless, being in no position to question such a gift horse, she heads out to meet the voice on the phone – motel owner (the impassioned Marilyn Mason) and her simple son Billy (Michael Meyer). Before long the two are sharing bourbon and chatting like old friends, Amanda has the job and is happy to let her hair down with this woman who seems to be everything her mother is not. The next day she awakens in the motel with one heck of a hangover and it seems her cycle has started a tad early. Off to the bizarre corner store where she meets some colourful locals, including Brad (Max Gutfreund) the only cook at the only diner in town. Sparks supposedly fly as once she settles into the job at the motel, Brad soon becomes her boyfriend. Things finally seem to be looking up for Amanda until a sudden sickness reveals a revolting scheme at the heart of her employment. Like a fly in a web, she doesn’t realise she’s trapped until she struggles, and then it becomes all too clear how deep she is and how far her tormentors will go for their own demented desires. As written and directed by Brad Douglas, Besetment has a tendency to fall into the same problematic areas that a lot of indie films do – the pacing is a little off as the ‘crazy’ happens too early, and more time spent nurturing relationships (particularly the romance between Amanda and Brad) would have added to its believability. The issue of having a hotel and a diner that no one else seems to inhabit is also a problem – where are the guests? Who are they making the beds for? In that tiny town would a diner really get enough traffic to survive? The effects look and feel amateurish, including any wounds or gore, and there is also a lack of establishing shots and story backgrounds. On the plus side, performances are more than adequate, the grocery store is impressive in its authenticity (shades of Texas Chainsaw), the sheriffs are believable and personable, and this film features an excellent ‘80s synth score, which gives it a cool retro feel. If more time had been utilised enhancing these things it would’ve been a much better movie. The incestuous side story adds to the ickiness factor and makes parts of this movie perhaps more memorable than they deserve to be, but there is a story thread that works much better here than a similar thread in the pitiful Don’t Breathe, so at least Besetment can brag about that. I love a good ending, and though the initial ending is surprisingly brash and appropriate, the tacked on coda is nonsensical. It might have worked had things been different, but as the two people who had to have crossed paths for it to make sense never actually did cross paths, it just seemed unintentionally funny. This is a film of good ideas that are fumbled slightly and therefore is not the slam dunk it could’ve been. Maybe Douglas’s next film will be better realised. 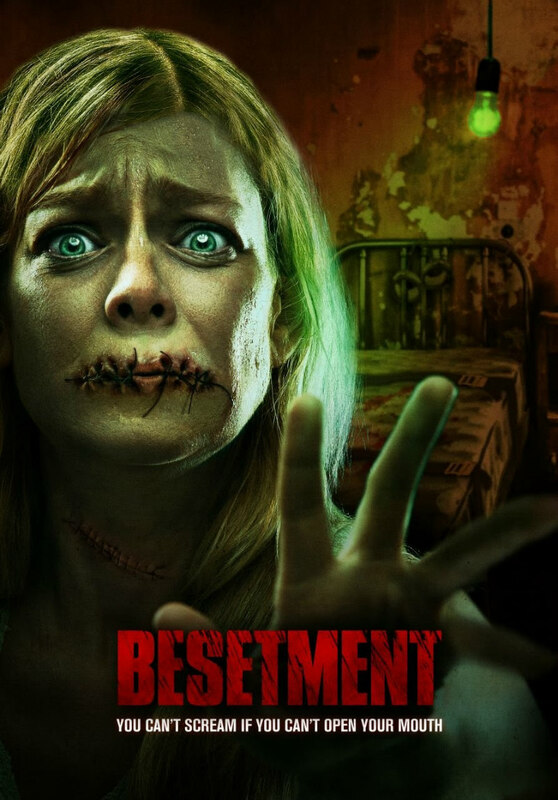 Besetment is on VOD June 6th.